I tend to buy books on a random spree every other week or so. This week I’ve bought so many that I decided I’d draft a post every now and then with my latest acquisitions. 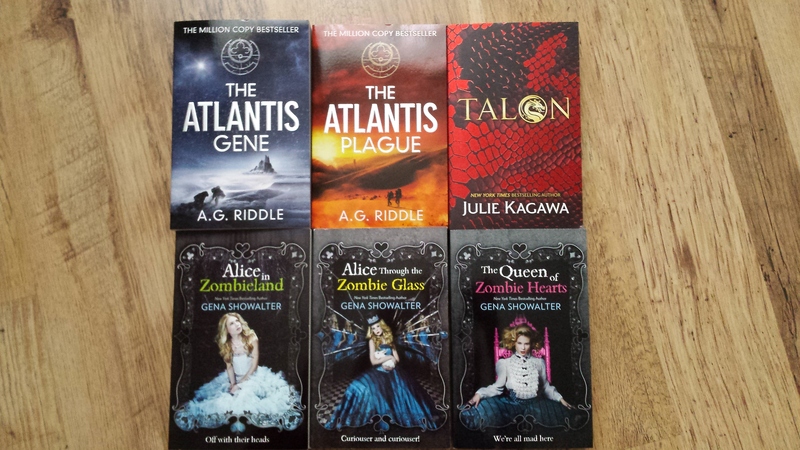 Above from top left – The Atlantis Gene by A.G. Riddle, The Atlantis Plague by A.G. Riddle, Talon by Julie Kagawa, Alice in Zombieland, Alice Through the Zombie Glass and The Queen of Zombie Hearts by Gena Showalter.